The 'Give Your Heart a Break' singer knows she got a big second chance this year. The "Give Your Heart a Break" singer took to her Instagram Story on Monday to share a New Year's message with fans, in which she vowed to never take another day "for granted," five months after her apparent drug overdose. 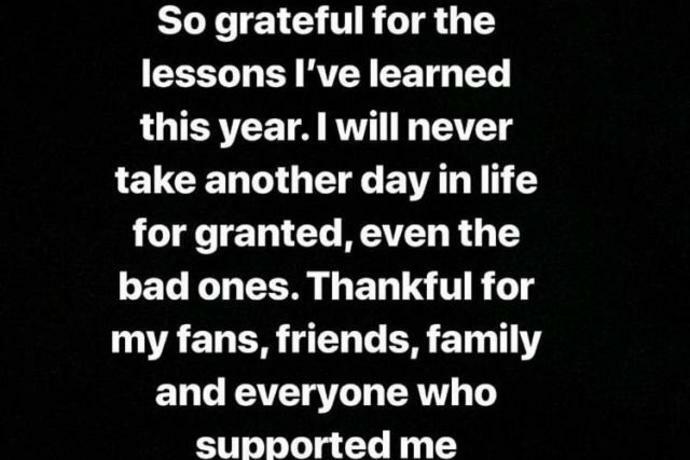 "So grateful for the lessons I've learned this year," Lovato wrote in white text in front of a black background. "I will never take another day in life for granted, even the bad ones." "Thankful for my fans, friends, family and everyone who supported me through this year," she added. "God bless." 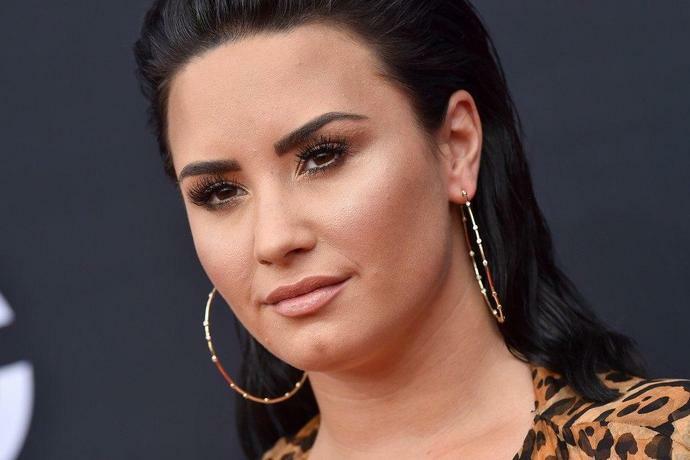 Lovato suffered an apparent drug overdose in July, and since then, a source tells ET she has been committed to her sobriety. The former Disney star completed rehab last month, and has been surrounding herself with people to keep her on the right path, like her new beau, Henry Levy. The couple -- who ET learned is "casually dating" -- recently put their love on display in a cute, kissy, Instagram video. A source told ET that the pair met years ago in rehab. "Henry is exactly the friend Demi needs right now. He is a perfect sober friend for her," the source said. "Her friends feel he is a positive influence on her." According to ET's source, the pair have been spending time together close to home, and out of the spotlight.